Siddhartha “Sid” Thakur, CVM associate professor of molecular epidemiology and associate director of the Emerging and Infectious Disease Program at the Comparative Medicine Institute. The project is from Siddhartha “Sid” Thakur, CVM associate professor of molecular epidemiology and associate director of the Emerging and Infectious Disease Program at the Comparative Medicine Institute. His is one of five university-wide programs this year receiving the grant, designed to encourage meaningful international partnerships. Paula Cray, head of the CVM Department of Population Health and Pathobiology, is the co-principal investigator of the grant. The proposal aims to create a network of collaborative institutions in different regions of India who will partner with NC State to create an antimicrobial resistance surveillance program focusing on AMR pathogens impacting the health of both humans and food animals, said Thakur. The Internationalization Seed Grant program awards up to $5,000 for each winning proposal, and the CVM Research office provided matching funds for the project. 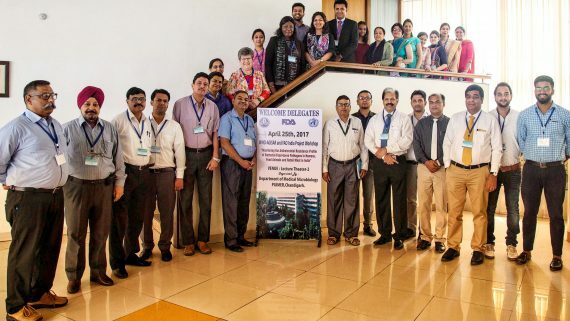 Collaborative institutions in different regions of India partner with NC State to create an antimicrobial resistance surveillance program. Photo taken at the PGIMER Medical Institute, Chandigarh, India. 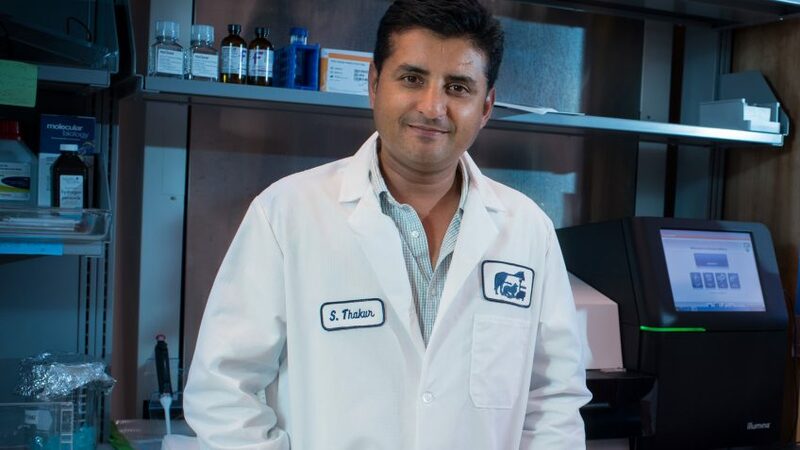 Combating antimicrobial resistance is Thakur’s main focus at the CVM, and both he and the school are recognized as international leaders in the field. North Carolina belongs to two national antimicrobial resistance surveillance programs and both are found in Thakur’s lab. Last year, the United States Food and Drug Administration awarded the CVM a grant for a five-year study monitoring AMR trends in retail meat sold in the state. With that grant, the CVM joined the National Antimicrobial Resistance Monitoring System, or NARMS, which identifies dangerous pathogen strains and pinpoints sources of outbreaks. Thakur’s lab is also part of the FDA’s GenomeTrakr program, a global network of labs using genome sequencing to identify pathogens. Antimicrobial resistance is widely recognized as one of today’s biggest global health concerns as researchers work to stem the tide of drug-resistant bacterial pathogens, including stains of E. coli and Salmonella, common sources of foodborne illnesses. Some resistance occurs naturally, occurring, but misuse of antibiotics by humans and in animals is a contributing factor to rising resistance. For more information on the CVM’s fight against antimicrobial resistance, go here. For more information on NC State’s Internationalization Seed Grants, go here.